Rachel Henry is a new face at the Rockford Chamber of Commerce. She recently shared her bio with the Squire. 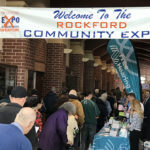 “I was introduced to the position at the Rockford Chamber of Commerce by my dad, who was working the Annual Rockford Expo which is put on by the Rockford Chamber. 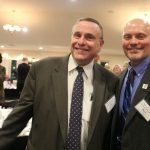 During the event he had discussed with Linda Southwick that I was looking for an internship for the summer for my degree in Hospitality and Tourism Management with an emphasis in event planning! When I learned of a possible position as an intern with the Rockford Chamber of Commerce I didn’t want to let such an incredible opportunity slip pass me, so I contacted Linda Southwick as soon as I could. This internship has presented me with great exposure into the industry that I’ve been studying at Grand Valley. I grew up in the Rockford community, but it is amazing how much that I continue to learn about this beautiful city. I have had the opportunity to meet the local business owners, committee members, and individuals that are responsible for creating such a thriving community. I have had the pleasure of working with an remarkable team at the Rockford Chamber and experienced the large amounts of work and energy that goes into putting on an event like the Annual Start of Summer Celebration! I think with every new position that are challenges at first. As an intern with RCC I think my biggest challenge thus far is trying to learn the community better and the businesses within it. Another challenge is trying to accommodate the many different expectations of service from ours members and guests.